This is a Yamaha Outboard Female 2-Prong Fuel Line Connector. This clip-styled fuel line engine connector is made of resin. It fits the 3/8" ID hose barbs and is for both tank and engine end. 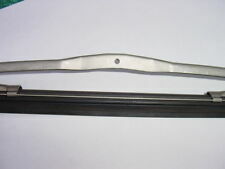 Dimension of connector: 2-3/8" (L) X 15/18" (W) X 1-1/4" (H). 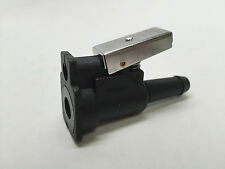 We also carry the Johnson & Evinrude Fuel Line Connector on another listing. Feel free to visit our store for more information on this item! Item: PM153208 *Customers please note every computer shows colors differently. All measurements are approximate. Outboard Engine Parts. Thousands of parts available: Outboard, PWC, Inboard, I/O, Powerheads, Gearcases, Outdrives. 70HP 4571652-B110053. 65HP 3 Cyl. 3293184 & UP. 60HP 3 Cyl. 50HP (through 1990) 1421113-D000749. Outboard Engine Parts. Thousands of parts available: Outboard, PWC, Inboard, I/O, Powerheads, Gearcases, Outdrives. 20HP-25HP 2&3 Cyl. 5705532 & UP. 15HP Super, 18-25 6443973 & UP. 9.9HP-15HP 4 Stroke OG760300 & UP (BigFoot ONLY). 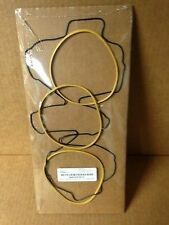 Marine safety kill switch with Lanyard coil. 12V15A Item Number: P10286 Pactrade Marine is a US based distributor of marine and RV lighting and accessories. We strive to provide our customers with the best products and customer service. Copyright © 2014 Pactrade Marine. Part No. : 42909A4 (Replaces: 42909A3, 42909A2). MPN: 42909A4. 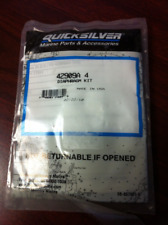 Manufacturer Part Number: 42909A4. Make sure to check your model and serial numbers and know your motor's model year before ordering. Thousands of parts available: Outboard, PWC, Inboard, I/O, Powerheads, Gearcases, Outdrives. 1983 Mariner 80hp four cylinder freshwater. With starter and fuel pump. This gearset is from a freshwater 1983 Mariner 80hp 4 cylinder motor. This drive is the rare forward and neutral no reverse. I'm going to explain everything that I can about this lower unit as if I was buying it myself. The casing has been drilled for a whale tail. There is a small chip out of the skeg in the bottom. The shaft at the top where the splines are taper and I'm not sure if that's normal. This is an telescopic Trolling Motor Extension Handle that can be extended from 17" to 25". The aluminum tube is made of anodized aluminum, and there is an anti-slipping PP grip at the end of the handle. This extension handle provides additional extension for convenient operation. It is lightweight and durable, and it is easy to be installed. Twist the handle to adjust to the desired length. It locks into place to fit most transom-mount trolling motors and most popular tiller engines. You can now experience total speed and steering control in any situation with this handle! Dimension: Length: 17"-25", Diameter: 2", and Diameter of the aluminum tube: 1-1/8". Item: PM616125 Pactrade Marine is a US based distributor of marine and RV lighting and accessories. Engine Mount w/4" Footprint - 5/8" Stud - 80-230lbs Capacity Per Mount. When possible, choose the mount nearest the middle of the weight range. 590 x. 6 / 2 = 177 lbs per rear mount. Mounts required are 800-010. VANS SPORTS CENTER, GRAND RAPIDS MI. CANT FIND A CERTAIN PART YOU NEED?. WE MIGHT JUST HAVE IT. 300X 3.0L EFI OT235084-OT651944. 250HP 3.0L EFI OT409000-OT598999. 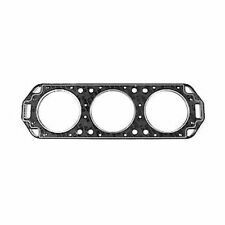 225HP 3.0L OptiMax OT178500-OT598999. 225HP 3.0L EFI OT409000-OT598999. Make sure to check your serial numbers and know your motor's model year before ordering. All of which makes for the ultimate in corrosion protection. Saltwater can take its toll on marine propulsion systems. 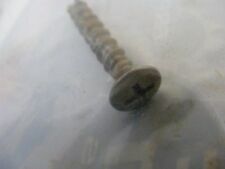 If scratched, the surface inhibits continued corrosion. The freshwater flush system is engine-mounted. Years Used and HP are provided as a guide. It is your responsibility to ensure that this part is correct for your motor. If a part doesn't work for you for any reason let us know. Our Policies Include the year, horsepower, make, model # and/or serial # of your motor so we can assist you. This is a black turbo in-line blower made of ABS. Feature: Amp draw at 12V DC, 3A Output-open flow: 200CFM Hose Size: 4" ID Mounting Style: Built-in Mounting Feet Dimensions: 5" (Length) x 6 2/5" (Width) x 4 2/3" (Height) Specification: Stiffening ribs on casing Five-blade fan Low Amp draw motor 5 Amp fuse Waterproof Item: P13020BK Pactrade Marine is a US based distributor of marine and RV lighting and accessories. We strive to provide our customers with the best products and customer service. Copyright © 2014 Pactrade Marine. MARINE BOAT 4 PIECES SS 304 FISHING ROD HOLDER 9.5" FLUSH MOUNT 45° PVC CAP This is a high quality Stainless Steel 304 Fishing Rod Holder with PVC Cap. It is at 45 degree angle; Dimensions: 9.5"L By 1 7/8" (241 mm BY 47.6mm) This is a set of 4 Stainless Steel Fishing Rod Holders with PVC Cap. Item: P54075 X 4 Payment Shipping Returns PaymentShippingReturns We accept VISA, MasterCard, AMEX, Discover & PayPal. OUR SHIPPING DISCOUNT OFFER (US ONLY): Our items are divided into several size categories and as you purchase items of certain size classification, there will be an automatic small increment of shipping charge. Thus, you will pay a lot less shipping compared to our competitors on Ebay. We ship all orders within one business day (once payment is received). This is a black turbo in-line blower made of ABS.Feature: Amp draw at 12V DC, 3A Output-open flow: 200CFM Hose Size: 4" IDMounting Style: Built-in Mounting Feet Dimensions: 5" (Length) x 6 2/5" (Width) x 4 2/3" (Height)Specification:Stiffening ribs on casing Five-blade fan Low Amp draw motor 5 Amp fuse Waterproof Item: P13020BK. OEM Mercury Mariner Circuit Breaker 88-93582 NOS (A17-7). Condition is New. Shipped with USPS Priority Mail. 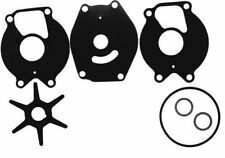 OEM Mercury Water Pump Housing 46-f694060-2, loc AA3. Shipped with USPS First Class Package. About Bay Area Powersports. Rider Accessories. Bike Accessories. Kawasaki Dirt. Kawasaki ATV. Suzuki ATV. Suzuki Dirtbike. Yamaha Dirt. Fits: Mariner 25hp. This is an OEM decal (not a reproduction) See pictures for details. Fits: Mariner 75hp. This is an OEM factory decal (not a reproduction) See pictures for details. Note these decals have a paper protective covering so they do not photograph well . NEW GRADY WHITE STAINLESS STEEL WINDSHIELD WIPER. 20" IN LENGTH. (Note: Small stainless lock nut and bolt is included with this blade.). HAPPY BOATING! Fresh and new! Item as described. Quality Stainless. SWITCH BOX ASSEMBLY # 32-2986A21, 2986A21. RECTIFIER ASSEMBLY # 62351A 1, 816770, 816770T, 8M0058226. MOUNT, RUBBER FRONT SUPPORT BRACKET # 37640. Acetal is a high performance, UV resistant plastic that outperforms most other plastics. The hole in the center can be made any size. 200HP 2.5L. 175HP 2.5L. 150HP 2.5L. Make sure to check your serial numbers and know your motor's model year before ordering Part #: M6B-97728452 (Replaces: 859772-1 & 858452-1) Reference: 52625, 52626. Nice all stainless including screws etc. Prop Shaft…………….20% of the value. Size: 10 1/4 x 14. Vertical Drive Shaft….20% of the value Internal ………….40% of the value. Housing……………. ….60% of the value Block …………….60% of the value. This is a high quality Stainless Steel 304 Fishing Rod Holder with Neoprene gasket & insert. It is at 45 degree angle. Dimensions: 9.5"L By 1 7/8" (241.3 mm BY 47.6mm) Item: P54071 Normal 0 false false false EN-US X-NONE X-NONE *Customers please note every computer shows colors differently. All measurements are approximate. 150HP 1983-1990 2.0L. 135HP 1986-1990 2.0L. Make sure to check your serial numbers and know your motor's model year before ordering Part #: 542-1 (Replaces: 25-96542-1) Reference: 18-3863. Thousands of parts available: Outboard, PWC, Inboard, I/O, Powerheads, Gearcases, Outdrives. Outboard Engine Parts. Thousands of parts available: Outboard, PWC, Inboard, I/O, Powerheads, Gearcases, Outdrives. 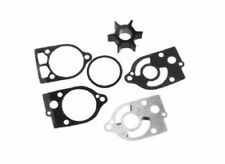 Includes all gaskets pictured, including head gaskets, base gasket, and thermostat housing gaskets. Pactrade Marine Boat Casting Heavy Duty S.S 316 Flush Mount Fishing Rod Holder 30° Item Description: This is a high quality polished Stainless Steel 316 Fishing Rod Holder with drainage hole. It is 30 degrees angled. Closed bottom with drain hole allows for guided drainage to help protect the inside of your boat. ---Material: Polished Cast stainless steel 316. ---Closed-bottom with drain tail ---3 mounting holes ---Standard 30 degree angle to vertical. ---Head size: 3 1/2 x 4 3/16" ---Height: 8 3/8" ---2'' Outside diameter ---1 5/8'' inside diameter ---9 inch length with stop pin. ---Complete with interior liner and drain barb. ---High-quality, heavy-duty units with solid cast frame for superior corrosion resistance and durability.